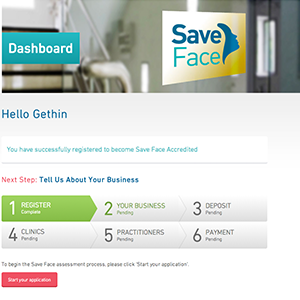 What are the benefits of becoming Save Face Accredited? By becoming Save Face accredited, you can take advantage of our benefits package, which could deliver a return on investment that is greater than the initial accreditation fee. 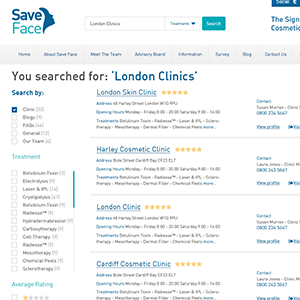 As well as the unique advantages that Save Face offers practitioners by being the only accreditation scheme and consumer facing search engine for non-surgical cosmetic procedures, we have engaged a range of specialist preferred partners that can add further benefits to you and your business. On accreditation you will you have your own dedicated profile page on the Save Face search engine which will be accessible to consumers. Save Face is accredited by the Professional Standards Authority. Save Face is committed to making sure members are able to take part in appropriate professional development. A number of online Continuing Professional Development (CPD) modules are available for you to complete at your own pace from anywhere with internet access, whether that be your office, on a train, or the comfort of your sofa, making them ideal for people who find it difficult to travel to events. These courses are intended as a refresher or introduction to a subject area all of which are relevant to the Save Face standards for accreditation. All subject matters will be focussed on best practice standards and the critical factors for delivering the highest level of patient care throughout the lifecycle of the treatment journey. The modules have been designed to suit all learning styles and because they are completed online they are user friendly and enable complete flexibility. As you complete each module you will be issued with a CPD certificate, the number of points will be calculated on time spent on reading materials and completing the online exam. Free and unlimited access to the Save Face Knowledge Management System (KMS) where you can download template policies, procedures, protocols and guidance notes to meet best practice standards. 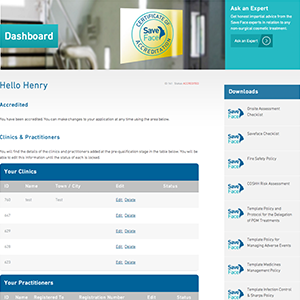 A secure, online members portfolio that stores of all of your training records, qualifications and insurance certificates to help with revalidation assessments. 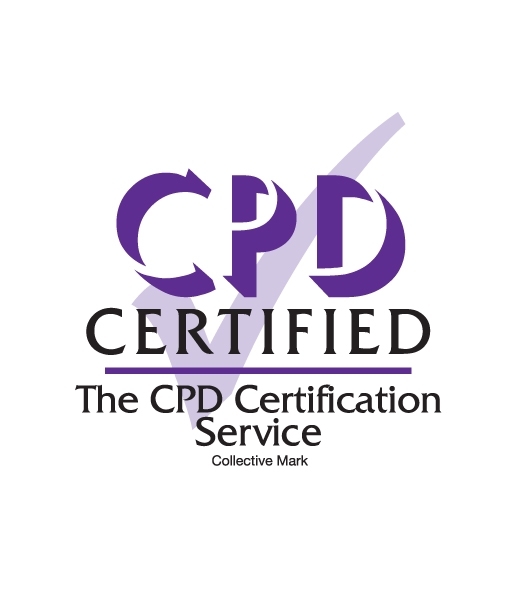 Accredited members receive a Save Face certificate as a means of demonstrating your commitment to best practice standards to existing and potential clients. 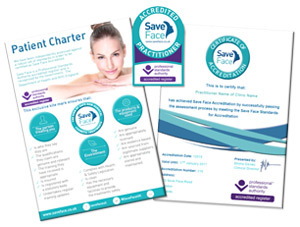 Accredited members are also provided with Save Face window stickers, patient charters. Pens & web banners. 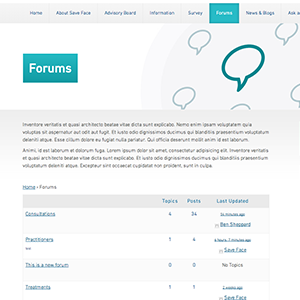 As a Save Face accredited member you will gain access to a dedicated forum where you will be able to get support and network with other accredited members. 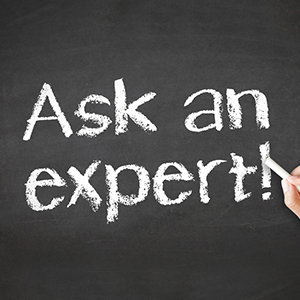 Opportunity to become a consumer champion through providing expert advice through our consumer facing blogs, forums, live chat sessions and ask the expert pages. Support of our Clinical Directors and panel of experts for advice and guidance. ‘Excellence’ status will be awarded to practitioners who can demonstrate excellent consumer feedback of 50 or more positively completed consumer satisfaction surveys. Save Face Referral scheme which offers a 10% discount off your renewal fee EVERYTIME you refer a new practitioner/ clinic when they become Accredited – the more you refer the more you save. *excludes large corporate organisations. Save Face newsletter containing tips and advice on a wide range of topics including industry related news and advice and guidance on business related topics such as marketing and search engine optimisation.